We are starting a new church. How do we find a new church location? There are different approaches to locate church property. Here is an approach that is very efficient. Reader Question: How do we find a new church location? We have a long-standing fellowship group in a large established congregation. We have decided to break away and start a new congregation. Monty’s Answer: There are a variety of ways you can go about finding a new home for your flock. While there are often challenges in nailing down the property, here is an approach to the search that may help you accomplish your goal in the most efficient manner. Gather your leaders together. Confirm or seek agreement on the issues that will impact the physical requirements you require at your new location. Here are some sample questions that may be helpful: Are we seeking temporary space or permanent space? Are we purchasing the property or are we leasing? Are we looking for space we can grow into, or will we change locations if our goal is growing the congregation? How much space for building square footage, parking, playground, etc., do we need? Do we have a general location we prefer? What is our budget for occupancy costs, and how do we define occupancy costs? Can we depend on our revenues (contributions) to meet the occupancy budget? Do we have a revenue history to support our budget? How will the actual decision on a location be made? Answering these questions before you start contacting sellers, landlords or real estate agents, will be helpful for your group. Why? Experience suggests a collective vision will save the group considerable time over a trial and error approach. Additionally, the property owners and their representatives will be evaluating the potential success of your congregation as a financeable buyer or tenant as you are evaluating the property they have to offer. Answering their questions during a property viewing conveys the message that you are well organized and prepared to act if you embrace what they have to offer. You set the tone as a professional organization to the prospective seller or landlord. They are likely to be experienced business people looking for a reliable buyer or tenant, and your answers are all they have at this point to gauge your acceptability. Check the classified sections in local newspapers, craigslist.com, LoopNet.com and other online resources looking for potential leads. Call the phone numbers listed in the ads to get that property’s details. Consider running an ad in some media in the “wanted property” section, or run a free ad on Craigslist. Contact the local municipality. The planning department may have established grant programs, or know of a property that fits your objectives. You want as many properties as possible on this list that meet or are similar to your criteria. Don’t be surprised if there are only two or three. Include a phone number, a street address and a contact name for each property on the list. If you only have 2 or 3 properties, consider either expanding the territory, relaxing your criteria, or both. Scout around by car. Preview the properties on the list with a drive-by. Take notes, snap a few photos, and make comments on each one; otherwise, mixing them up is easy to do. Neighborhood OK? Building appearance from the street? Parking look adequate? Does it appear well maintained? As you drive between locations, look for additional signs and vacant buildings (you may find property advertised only by a sign) that may be prospects. 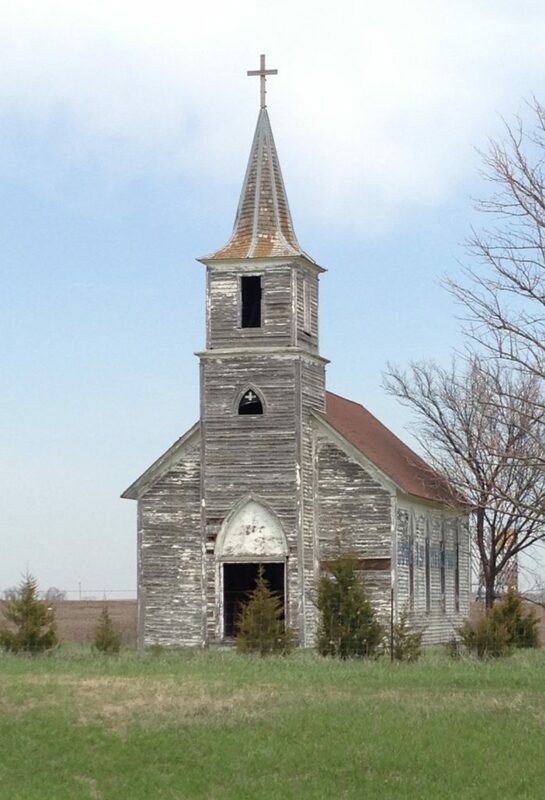 Are there any empty churches? Or homes converted from churches for sale? Your goal here is to cast a wide net to pick out the top three properties. Call each of the three top candidates. Schedule appointments in the same time frame, so you look each property back-to-back. Each inspection offers a double benefit, as you are witnessing the agent working. Ask yourself, “Is this someone I can work with on other properties if this property does not work out.” Ask for a list of other similar property they know of for sale or lease in the area. If none of the three are perfect for you, look at the next three, and so on.